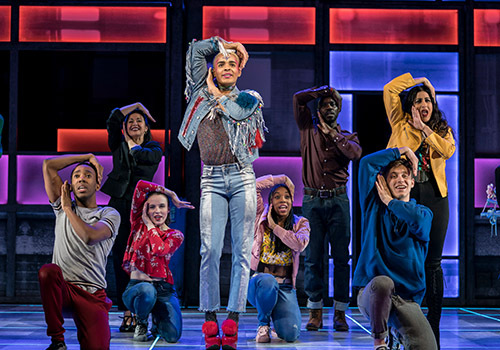 22 November 2017 - "so much to celebrate about this show"
Dan Gillespie Sells and Tom MacRae’s new coming-of-age musical Everybody’s Talking About Jamie transfers to the West End, following rave reviews from audiences and critics alike. 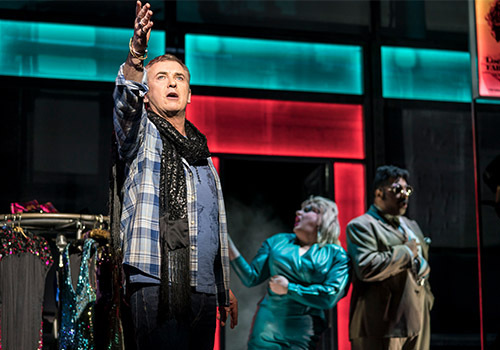 Previously enjoying a smash-hit run at Sheffield Crucible, the production comes to London’s Apollo Theatre for a run beginning in November. 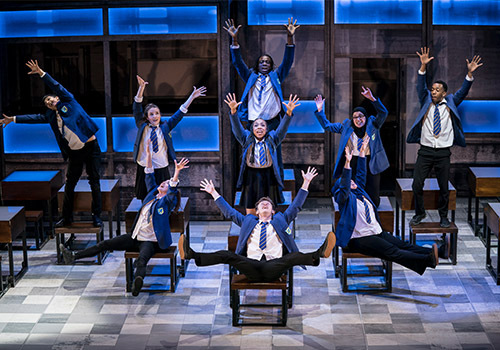 Based on a true documentary, the musical follows a sixteen year old boy from a council estate in Sheffield who struggles to fit in at school. Terrified about the future and trying to find his feet after his Dad leaves home, Jamie is destined to become something sensational. Supported by his dedicated Mum and multiple friends, Jamie finds a way to overcome prejudice and beat the bullies, fearlessly making his way into the centre spotlight. 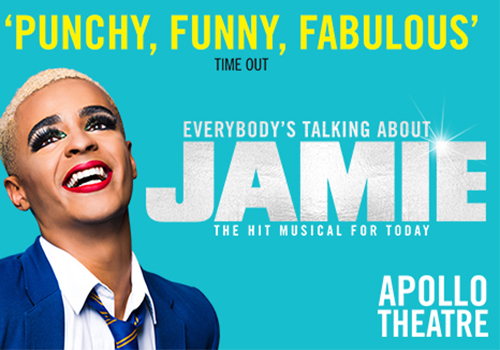 Layton Williams (RENT, Bad Education) stars as Jamie New, beginning his run on January 28th 2019. Rebecca McKinnis (Mamma Mia!, We Will Rock You) continues in her role as Margaret New. Hayley Tammadon (Coronation Street, Emmerdale) stars as Miss Hedge, and Shane Richie (best known for his work on Eastenders) as special guest star Hugo/Loco Chanelle. They are joined by Sejal Keshwala as Ray and Sabrina Sandhu as Pritti, along with a 19-strong company. From May 6th, Steps and Strictly stars Faye Tozer will play the role of Miss Hedge. Drag star Bianca Del Rio will be playing the role of Hugo/Loco Chanelle. 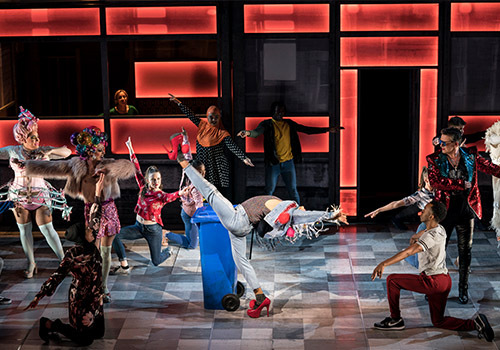 A new British musical created by Dan Gillespie Sells and Tom MacRae, Everybody’s Talking About Jamie is brought to the West End by prolific producer Nica Burns. Directed by Jonathan Butterell, the production features design by Anna Fleischle, lighting design by Lucy Carter, sound design by Paul Groothius and choreography by Kate Prince. A brilliantly uplifting story of facing your fears in modern society, Everybody’s Talking About Jamie transferred to the Apollo Theatre for a run beginning 6th November 2017, with an official opening night on 22nd November 2017. Everybody’s Talking About Jamie is recommended for those aged 14 and up. Under 10s are not permitted.